From Mao’s declaration in the 1960s that “women hold up half the sky” to today, when Chinese women with Ph.D.s are called “unmarriageable,” gender roles in both China and the US have progressed yet still pay homage to their patriarchal roots. This panel will investigate the mechanisms and traditions that both empower and disempower Chinese and American women, invoking perspectives from both countries through a diverse group of panelists. It will examine struggles that have existed for centuries in many countries, consider developing power dynamics that put women in advantageous positions, and analyze the changing role of gender through historic and modern viewpoints. Xueping Zhong is a Professor of Chinese Literature and Culture in the Department of International Literary and Cultural Studies at Tufts University. Her publications include Mainstream Culture Refocused: Television Drama, Society, and the Production of Meaning in the Reform Era China (2010) and Masculinity Besieged? Issues of Modernity and Male Subjectivity in Chinese Literature of the Late Twentieth Century (2000). She has co-translated and co-edited Revolution and Its Narratives by Cai Xiang (2016). Her other co-edited volumes include Debating the Socialist Legacy and Capitalist Globalization in China (2014), Cultural and Social Transformations: Theoretical Framework and Chinese Context (2013), Culture and Social Transformations in Reform Era China (2010), and Some of Us: Chinese Women Growing Up in the Mao Era (2001). Professor Teoh is an Associate Professor of History and Director of the Asian Studies Program at Stonehill College. Specializing in modern Chinese and transnational Asian history, Professor Teoh joins Stonehill’s History Department after having taught at Bowdoin College, Northeastern University, and Harvard University. Professor Teoh’s research focuses on Chinese migration and diaspora from the 17th century to the present and examines how changing notions of gender roles, ethnicity, and cultural hybridity have shaped the identities of groups and individuals. Her current research projects include a social history of gambling and the overseas Chinese, and a reference work on women in Chinese history. 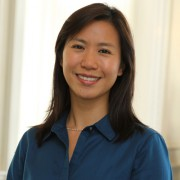 She is a Research Associate of the Fairbank Center for Chinese Studies at Harvard University. Dr. Wei Xiao is the Professor of Philosophy at Tsinghua University, China. Dr. Xiao is currently a member of the International/East Asia Bioethics Association and the European Society and Ethics, and a trustee of the China Women Studies Society, Bioethics of China, the Beijing Ethics Association, Philosophy and Medicine of China, and the Beijing Medical Ethics Association. 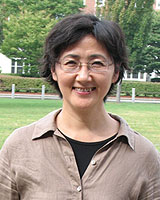 She is the author of eight monographs and has published more than 200 articles. In 2016, Dr. Xiao was selected as the only Chinese board member in The International Association of Women Philosophers. 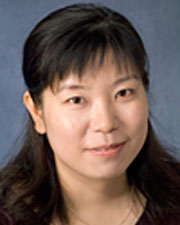 Dr. Hui Faye Xiao is an Associate Professor of Modern Chinese Literature and Culture at the University of Kansas. She has published a book, Family Revolution: Marital Strife in Contemporary Chinese Literature and Visual Culture (2014), and articles in Chinese Literary Today, Modern Chinese Literature and Culture, Journal of Chinese Cinemas, Journal of Contemporary China, Chinese Films in Focus II, Gender and Modernity in Global Youth Cultures, and Transforming Book Culture in China, 1600–2016. Currently, she is working on a new book project about youth culture in contemporary China.